Only a few days left for the biggest international celebration of youth audiovisual creation to start. Screenings, meetings, master classes, cinematography workshops for fiction, documentaries, and animation, the multinational Mythos Project, as well as endless hours of fun and entertainment for eight whole days, compose the setting of Camera Zizanio for 2018. Having spread its antennas throughout the entire world, Camera Zizanio aspires to give the most complete image of the children’s thoughts, worries, and troubles during an age of constant turmoil; all through their audiovisual creations. This year we have a cornucopia of films from all continents. The majority comes from Europe: 115 films from 29 different countries! The countries become 30 if we add Greece to the list, as we have 115 films participating in the greek competition section, including some made by refugee children. The international competition section has the most extensive representation, with 26 films from 15 countries from the rest of the continents. More specifically; Argentina, Brazil, Chile, Australia, Bangladesh, Egypt, Lebanon, Jordan, India, Iran, Philippines, Canada, United States, China. Old and new friends are among the participants, like Toby, the ”wonder boy” from England, who was just 5 when he first joined us in 2014 and this year has returned with a film he made at school with his fellow talented classmates. We are also looking forward to meeting our new friends from China that are packing their bags for their big upcoming trip. Because Camera Zizanio is not just about films. It is about the Meeting among the filmmakers themselves. A creative aggregation of the children who will meet one another, as well as the professional cinematographers of the 21st Olympia International Film Festival. A Meeting that, just like every year, will be the stepping stone for new collaborations, raising the bar of juvenile creation even higher, crushing stereotypes, prejudices, walls, and borders. Giving birth to hope. 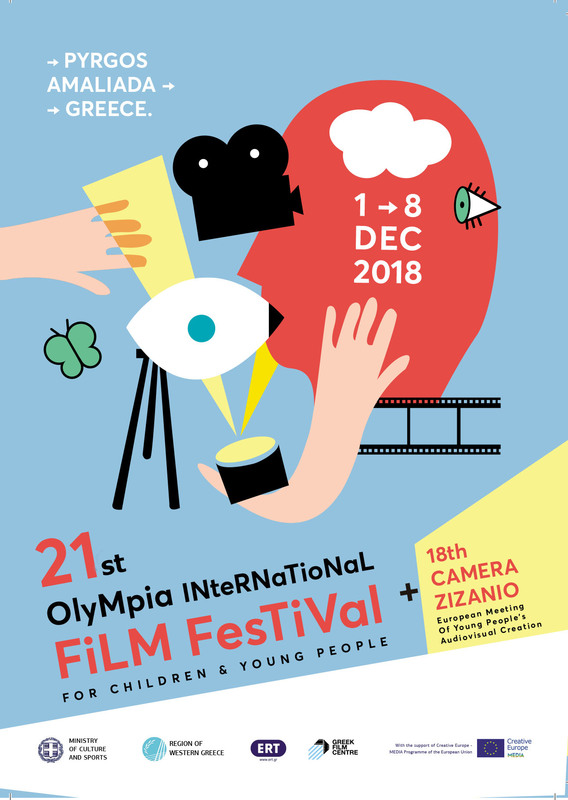 The 18th Camera Zizanio and the 21st Olympia International Film Festival for Children and Young People are ready to welcome you to the hospitable land of Ilia and the Region of Western Greece.